Most days I race around, almost as if on auto-pilot. I forget to remember what God has done. But other days something random will stop me and give me cause to soak in the wonder. I’ll look around taking note of this life God has carved out for me and remember a time when what I live today was beyond my wildest dreams. A broken girl who made broken choices leading only to a broken life. The broken life was marked with sin that bound me in the chains of shame. And if we know anything about shame, we know it keeps us stuck in a vicious cycle of condemnation. I didn’t know my Jesus then – at least not the way I know Him today. and gives the weary strength to go on. I didn’t know the victory available through Christ. Victory not just in salvation, but victory on this side of the cross as well. I know that’s why I come to you here each week in an offering of my words and my heart. It’s why I can’t bear to think of others living in that pit. I lived there and I experienced God’s redeeming power. And I want you to, as well. You see, I know that knowing Him leads us to knowing ourselves. It’s when we learn what holy confidence is and why we are worth so much more than the effects of an unsteady, broken, and often angry world. Our value isn’t equivalent to the sins we have committed nor to the sins committed against us. Our value is found in only one place. It is found in the unfailing, powerful, graceful, and redeeming love of God. That, my friends, is the reflection in which we want to see ourselves. After writing at great length here about what an identity in Christ means and sharing all the hope I can with you through stories from other brave women who have discovered His redeeming love, I’ve taken it a step further and created an online email course. I’m pretty excited about it because I’ve mixed a lifetime of experience and learning into this. I even have video lessons! (You KNOW I’m taking out all the stops when I bust out the video!) But friends, I pray this offering is just what you need right now. Find out how your view of identity is effecting your life. Determine your personal IF (Identity Factor). Recognize triggers and identify roots of shame and insecurity. Loosen the hold an unhealthy belief system has on your life. But, wait … did I mention it’s free? For now? Just click HERE or on the image below to get started. If you are already a part of the community and have previously subscribed, you will still need to give your email address at registration. Don’t worry, though, you won’t get double sets of emails. It just lets me know you want to receive this email course! I definitely hope I am doing just that each day. 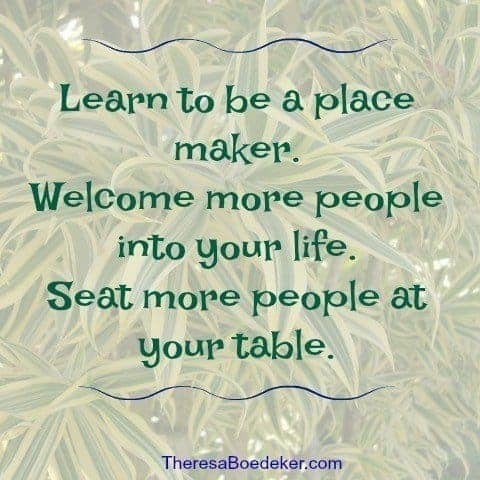 I pray I am a Place-Maker … How about you? “Miss Mabel is a “place maker.” She makes you feel like you have a place in this world.Like you are necessary. Just by her smiling at you and gushing over you and telling you how pleased she is to see you. Place makers are not only little old women. They come in all sizes and shapes. Personalities and attitudes. They can be old and young. 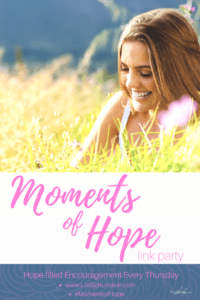 Please don’t forget to jump on over to her site and leave some #MomentsofHope comment and sharing love! And,Theresa, please feel free to grab the Happily Featured Here button below! Isn’t it wonderful that we have such Victory in Jesus! I too long for all to know this & join us in building God’s Kingdom! Thank you Lori for reminding us of His victories He has in us! Oh my, your email course looks wonderful! I want that. Thank you for hosting the link-up today. You are such a blessing. Thank you so much, Val! I pray it helps women step into the freedom we find when we embrace the love of God. I want for others what I experienced ♥ And … sweet friend, YOU are the blessing!!!! Love this encouragement! 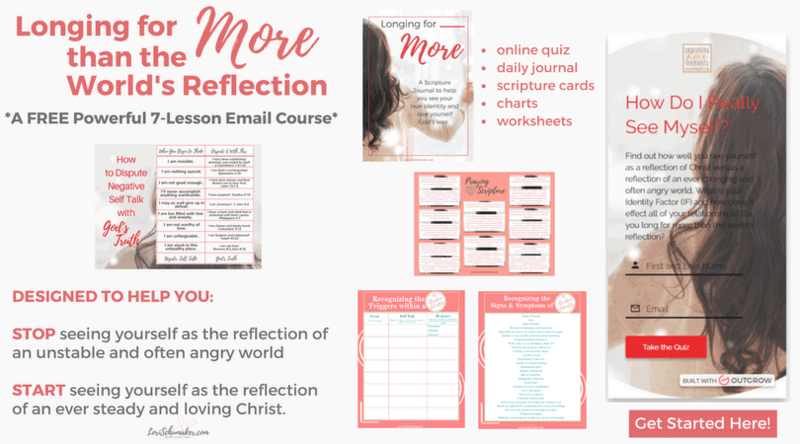 And that email series sounds like a wonderful, beautiful way to encourage people. Thank you so much, Emily! Have a wonderful week! Blessings on your email course, Lori. This will help so many women. Our identity is something we women seem to struggle with. This will be such a blessing, sweet friend. 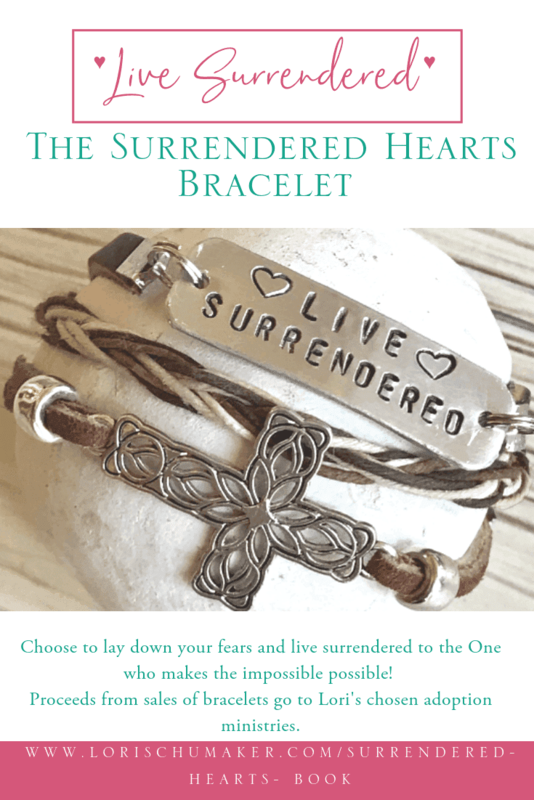 Praying great things and salvations will come through your new email course, Lori! May God bless you for what you’re doing to spread His love and Kingdom. Thank you so much for your kind words and prayers, Lisa! Hi Lori, it’s been awhile since I’ve been by, as I’ve been on a blog break. I’ve missed your encouraging link-up, and I’m glad to be back. This email course will be life-changing, I’m sure. Knowing who we are in Christ is essential!! 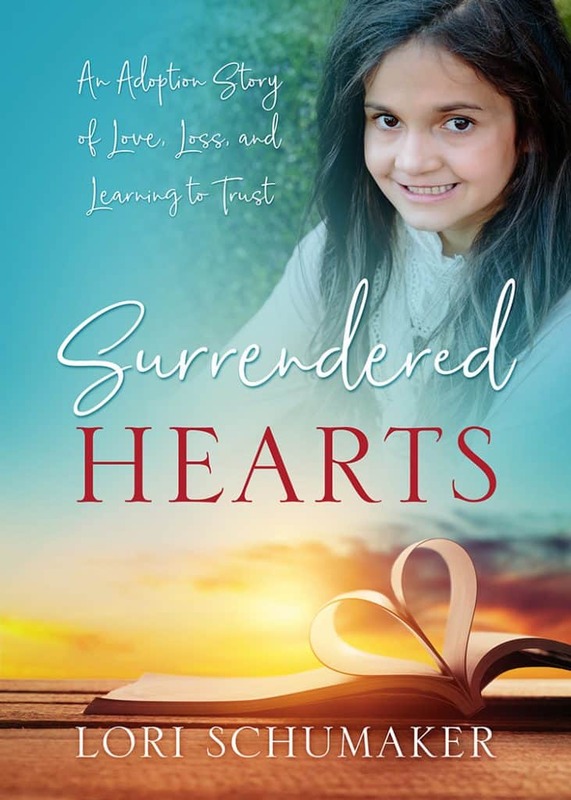 Back in the 90’s, I was in a book study of Search for Significance, which is all about defeating the lies about our identity which keep us from experiencing the truly abundant life Jesus has for us. I know the Lord will use your study to impact many lives!! Patti!!!!! It’s so good to see you here again!!! I’ve missed you lots ♥ I pray your break was replenishing and just what you needed. Thank you so much for your kind words and for the prayers. I hope and pray this course helps others discover and live out their identity in Christ. Living in His reflection changes EVERYTHING! I was traveling with two of my boys this week for basketball so I didn’t get to read all the links, but I’m still working on them. I can’t wait to stop by your new place! Excited about this for you! Your email course looks fabulous! This is my first time to visit your site. I’m excited to find out more about you. Thank you! I look forward to connecting more and I pray God uses the course to bless you immensely!